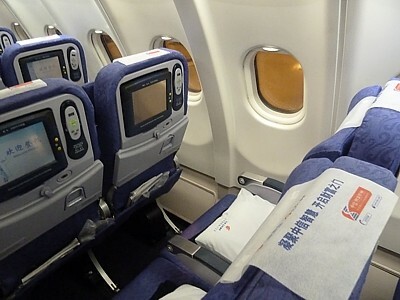 Seat Pitch Economy: 32-34" Premium: 36" Biz: 42" First: 60"
Air China will offer nonstop flights from Beijing to Houston in the US using a Boeing 777-300ER aircraft next summer, pending approval from the US Department of Transportation. Air China is the goliath of airlines operating in the middle Kingdom, a large grandfather carrier still with a full service onboard. It serves a vast number of routes from its hub at Beijing, and a smaller hub at Shanghai. The airline is large: tenth biggest in the world, with 293 aircraft, 60 million passengers a year, and snapping on the heels of its competitors China Southern Airlines and China Eastern Airlines in terms of numbers of passengers carried. Operating primarily long haul, with a fleet of modern planes, a Star Alliance Frequent Flyer programme, and listed mainly on the London Stock Exchange, Air China is very western looking: it even has Wifi internet on board. Air China seats and cabins seems very familiar to anyone flying in the West: the airline is a big Boeing customer, and tends to buy identikit planes and cabins from Seattle, with only a few subtle changes such as placing it's dragon enterprise logo - the 'artistic phoenix pattern' on the seat covers. However seats – particularly business class seats – are some time behind the latest designs. 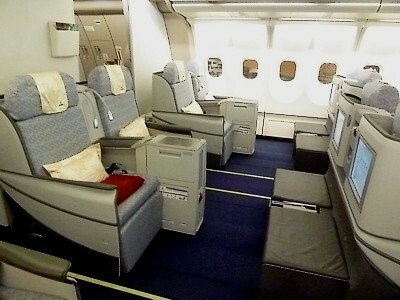 Air China's seats and cabin. Why, then, does the airline seem just a little bit 'odd' when you step into an Air China cabin – and why do some passengers try and avoid it? 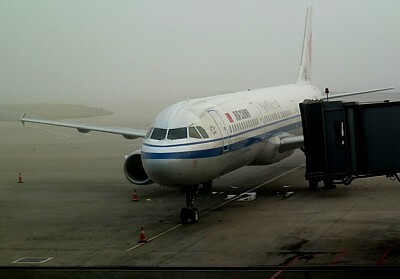 Alas, an Air China review isn't always complementary: there are issues as you would expect with a new upstart airline. Part of this is the fault of the crew, who don't always know what they are doing: service in the premium cabins can be mediocre at best. Food can sometimes be comprised of looking at the Western dish and doing a variant of it – badly (if you eat on the plane – try the native Chinese dishes: they can be far better). The onboard bar is a joke in Business Class: you are handed a big menu and wine list, but the wine list consists of two types of wine – Great Wall red or white – or a can of Yanjing Draft. It's dire. 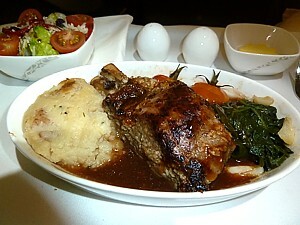 Air China inflight meals. Inflight entertainment is a mixed bag, and alternates between just about acceptable to total rubbish, and non-existent. 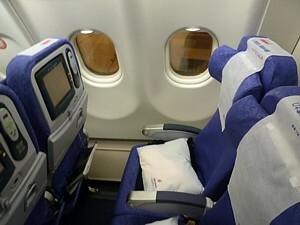 On many of the Airbus long haul aircraft in the economy cabin there is no seat-back entertainment system installed. Where there is Air China seatback TV, in many cases the films are just on a tape loop. A few of the newest aircraft have AVOD, but here the few films are the cheapest Hollywood movies picked without thought: forget having the latest blockbusters. There are however a vast number of Chinese films. And indeed, this gives you a clue as to the makeup of Air China's passengers: most of them are Chinese, westerners are in the minority, and a significant number of the passengers also give off strong hints that they have never been on a plane before: this doesn't always go well. Air China Economy Class reviews always moan about the rack of 5 seats abreast on the Air China Boeing 777: this doesn add to your comfort, but the new 34 inch seat pitch isn't too shabby. Air China seatback TV details. Air China has tried to set itself up as the new airline on the Kangaroo route between the UK and Australia – one of the longest and most popular in the world. It certainly offers fares in business just slightly cheaper than competition, but is it really worth the hassle of transiting via Shanghai (where you have to go landside and check in again) or Beijing where the lounges – while new – give a strong impression of being designed without thought to quality. 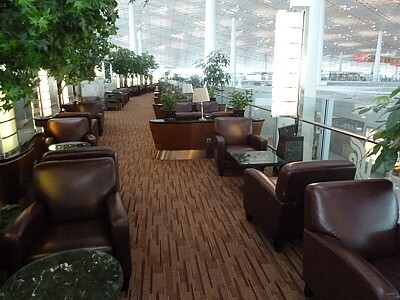 Air China Business Class Lounges. Many passengers may be worried about taking a flight: however Air China safety, although not the best of the best, is still pretty good with the only major incident in the past decade being an Air China 767 which smashed into a hillside killing 128 passengers. So is Air China safe? Yes, almost certainly. 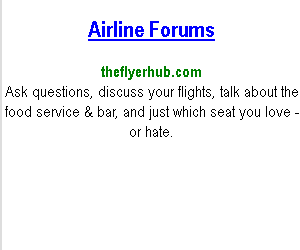 Incidentally, don't confuse Air China with China Airlines, a carrier based in Taiwan. Some time ago it had the poorest safety record of any international long-haul airline in Asia until a 747 jumbo jet broke up in flight near the Penghu Islands, which led to an increase in safety checks. On the whole Air China gives you the impression of being designed by someone who has seen a picture of something that looks very good, but who has missed on the subtle nuances of design that really make the difference, and without the time or the experience to know the difference. Air China will certainly get you there – often cheaper than other airlines - with every ounce of the country itself. 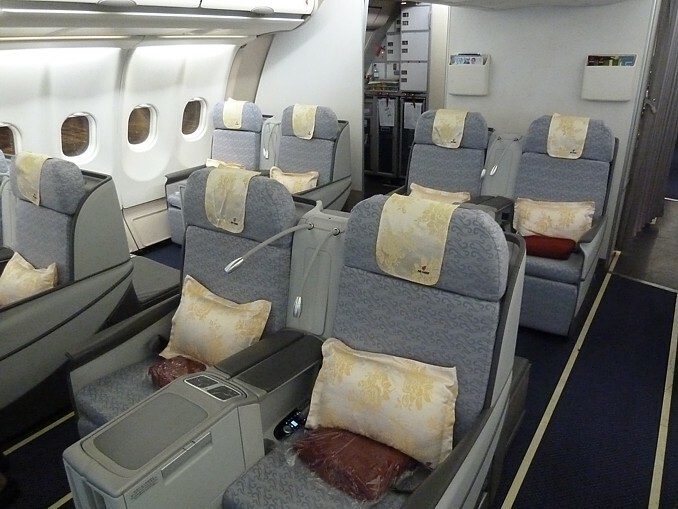 Air China Business Class seats on the Boeing 747. All reviews and opinions on Air China food, service, seats, planes, upgrades, lounges, and the Frequent Flyer scheme are given as a personal opinion. No legal liability is accepted if you take my advice.